Exclusive Offer! 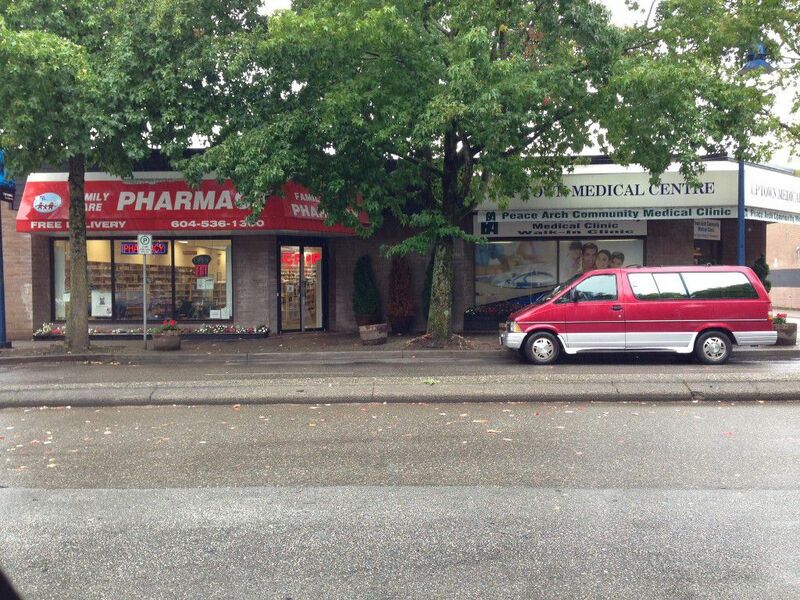 Free standing income building on busy Johnston Rd, in White Rock. The subject property is located within the most prosperous commercial area. It has great traffic and pedestrian exposure. The property lot size is approx. 20,922 Sq. Ft., with a approx. 9000 Sq. Ft building, which is fully leased by four tenants, including pharmacy, walk in clinic, Doctors Office, and Dentist. 25 parking stalls at rear. The property is under CR-1 Zoning (Town Centre Area Commercial/Residential Zone), current FSR is 1.75. It is also designed within the Town Centre Urban Plan Area, this lot could but not limited to build residential apartment with FSR equals to 3.2 and maximum site coverage equals to 38%. All numbers could be adjusted with the City’s agreement. It is an excellent property either for holding or for future developing.